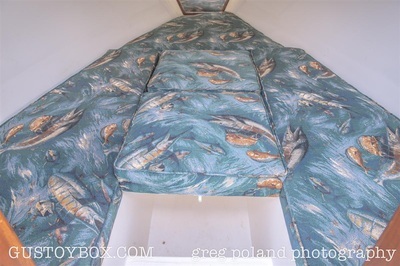 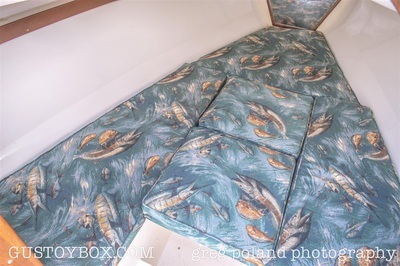 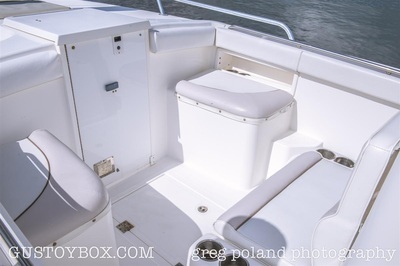 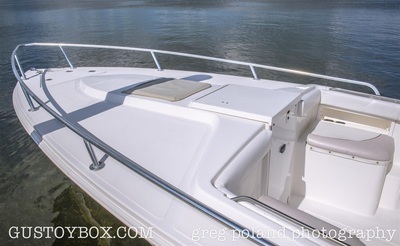 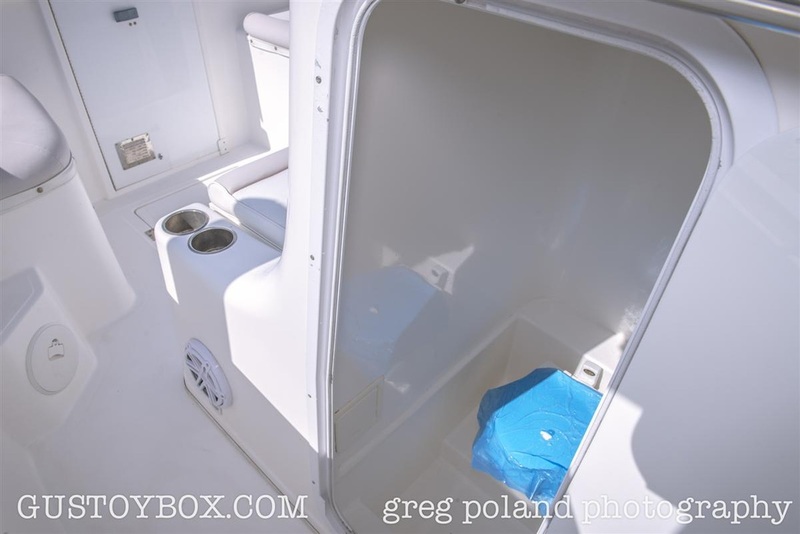 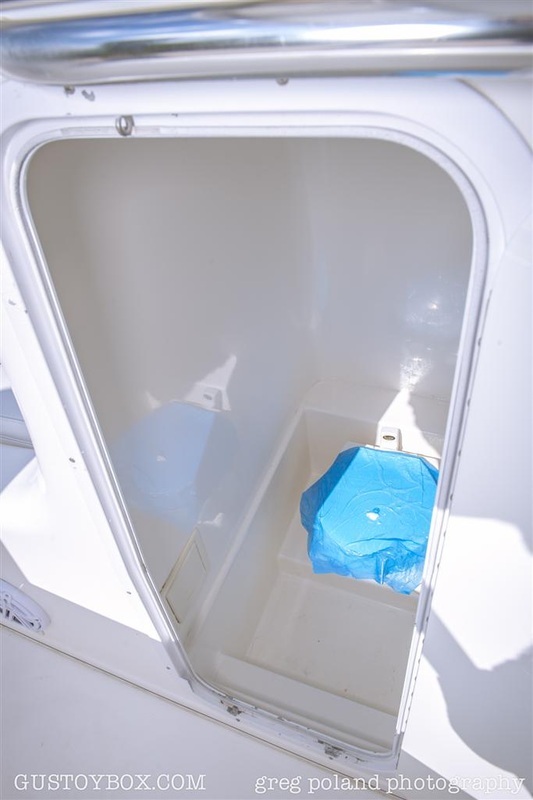 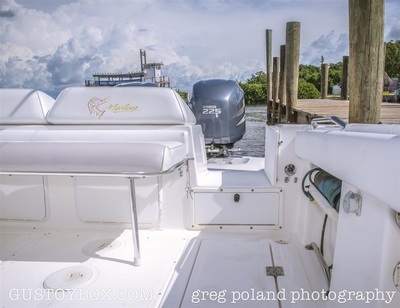 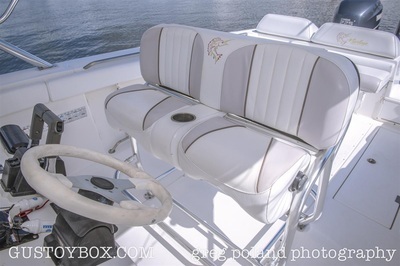 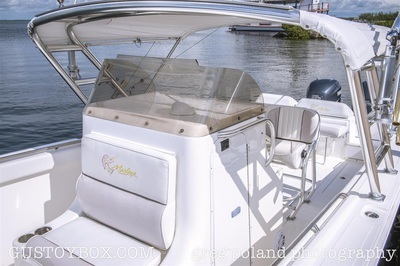 This boat is in immaculate condition inside and out. You will not find a cleaner Marlago on the market. 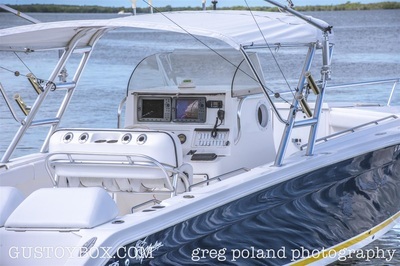 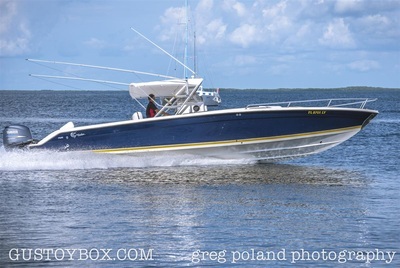 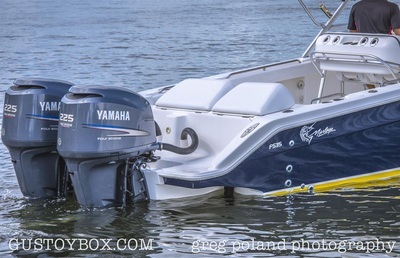 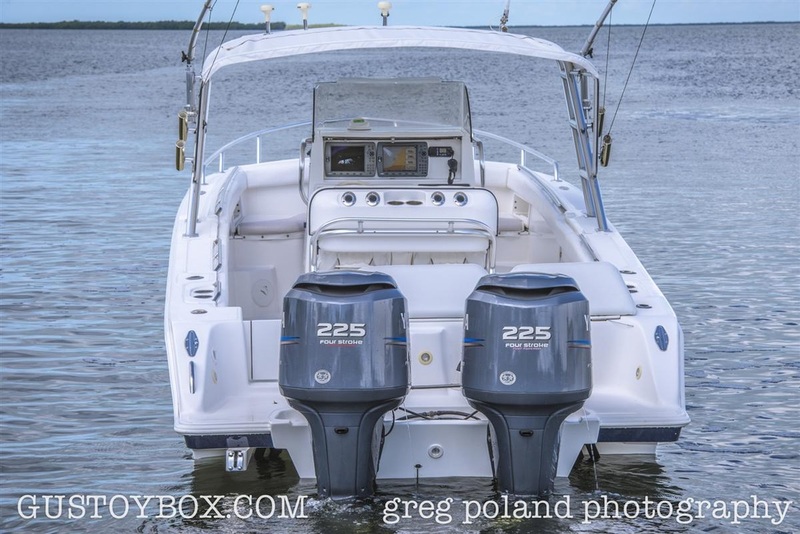 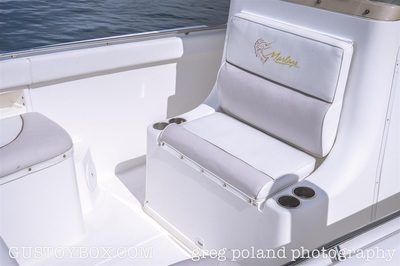 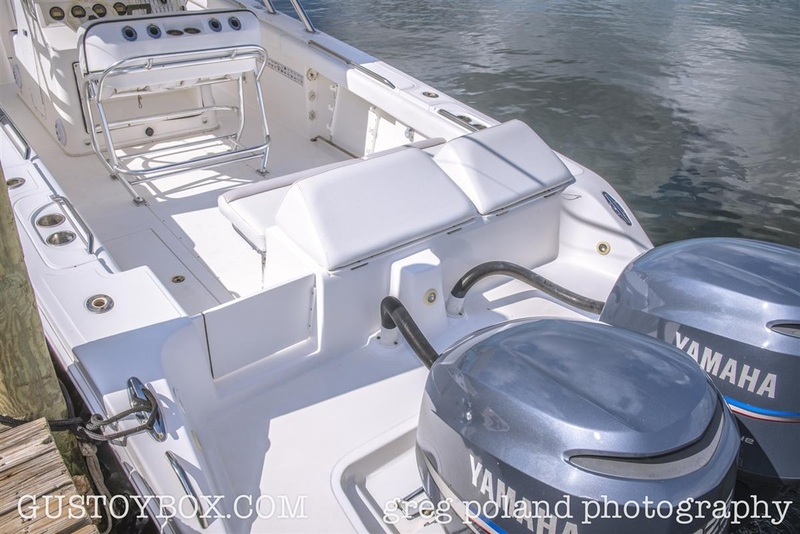 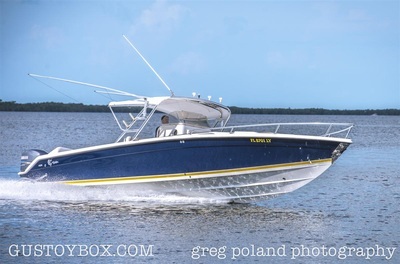 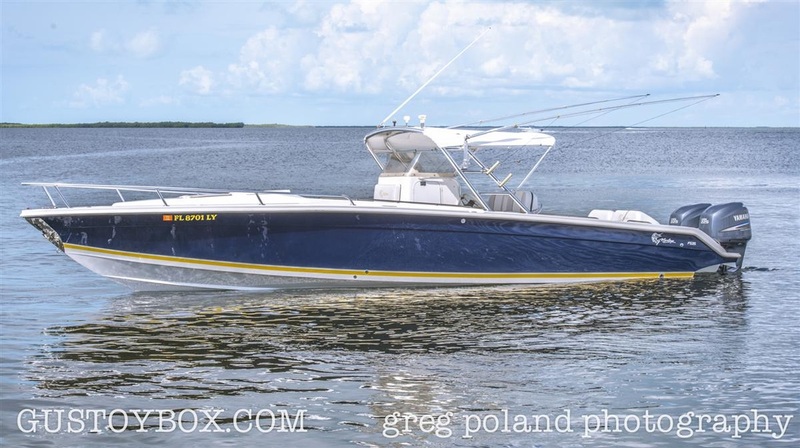 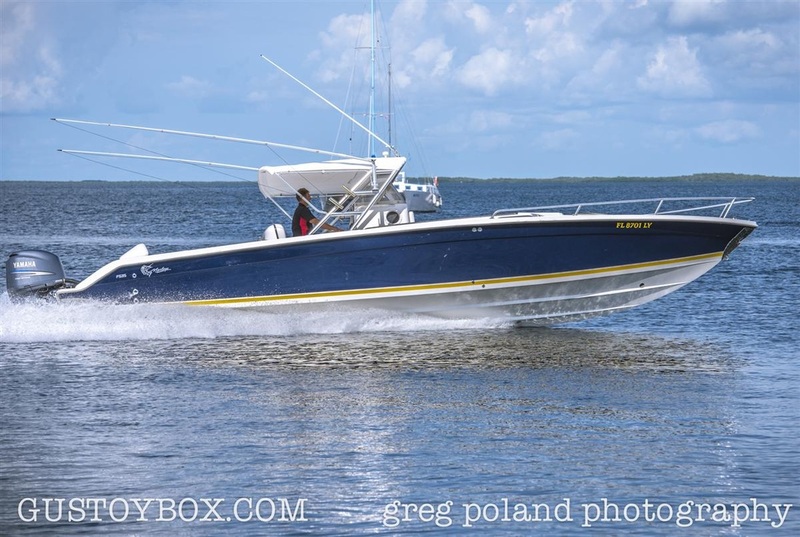 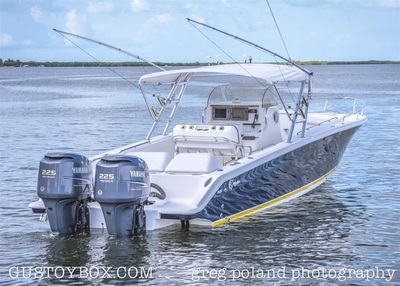 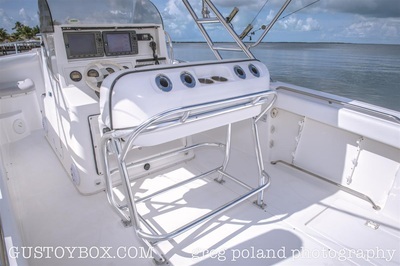 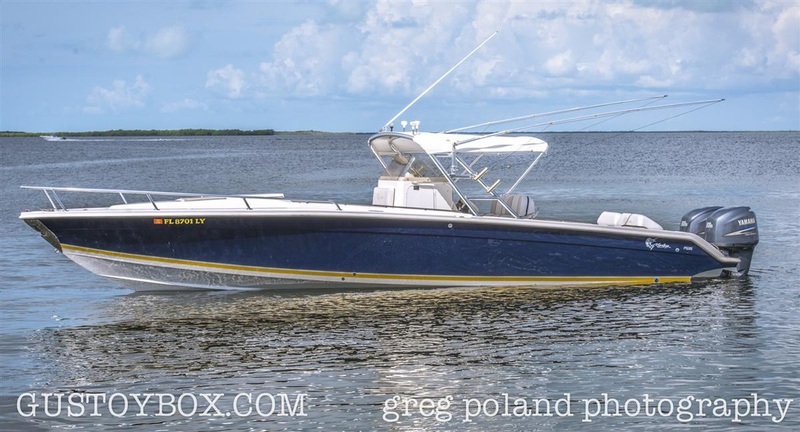 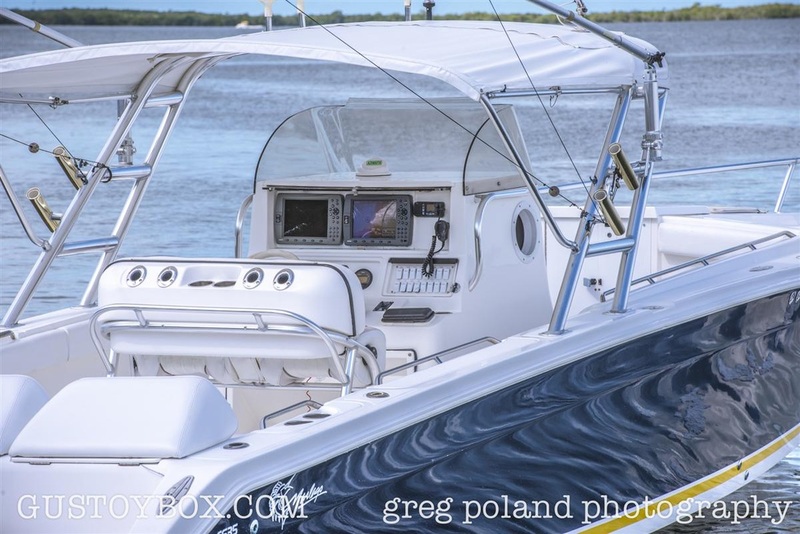 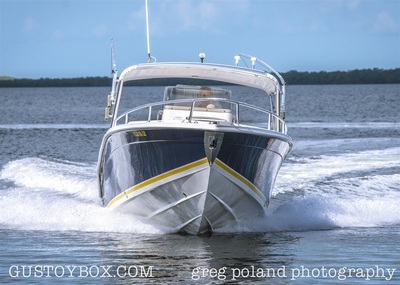 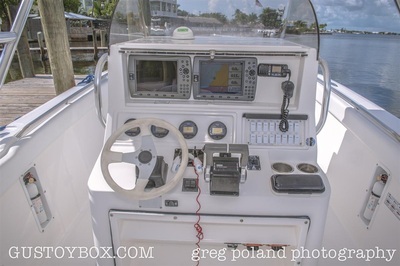 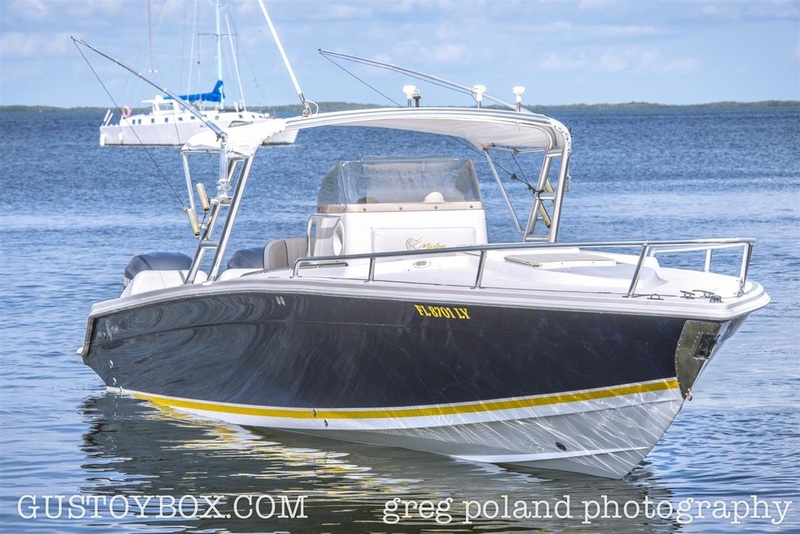 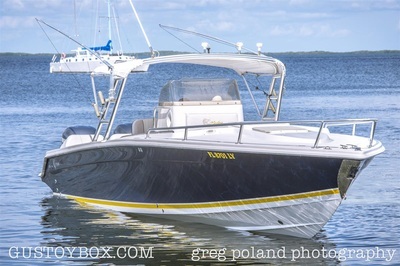 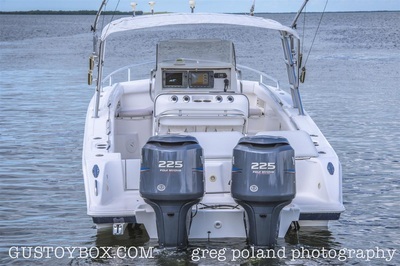 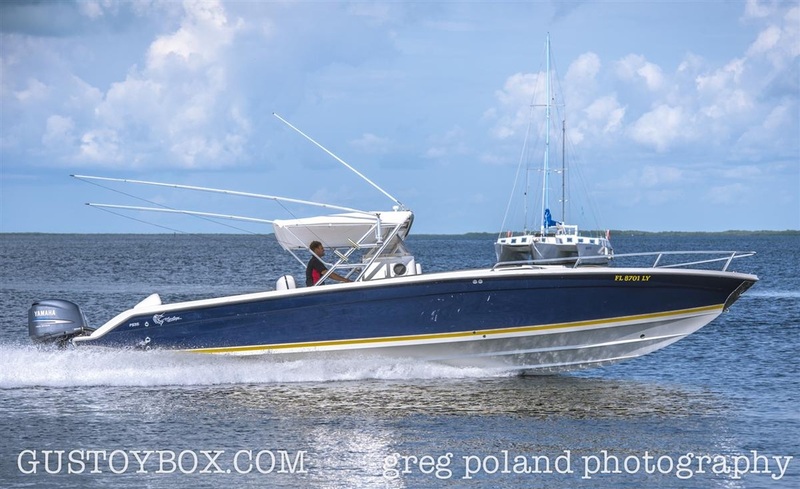 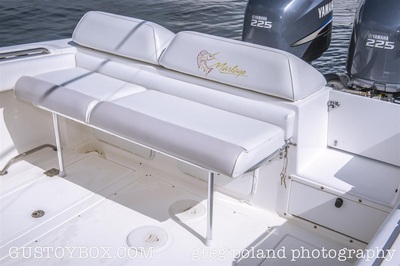 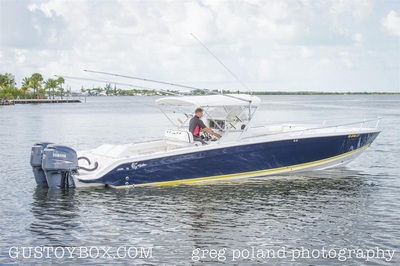 If your looking for a high end large center console, such as a Jupiter, Sea Vee, Venture, Intrepid, Sea Hunter, Hydra-Sports, Everglades, Contender, Fountain, Yellowfin, Bahama, Marlin, ect. 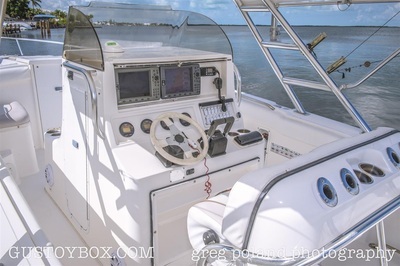 you should take the time to look and sea trial a Marlago. 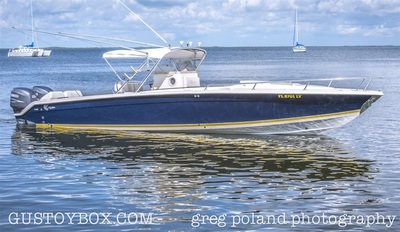 This boat was never left in the water. 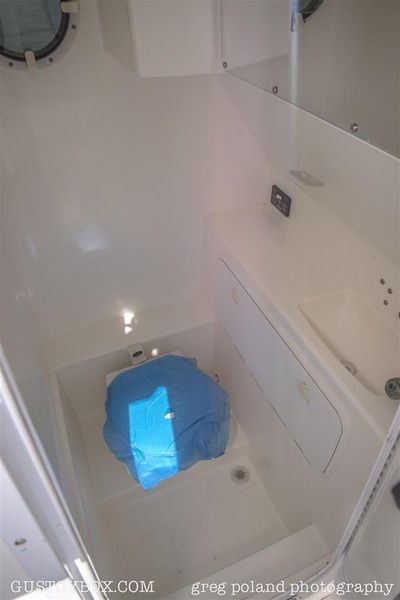 Please note trailer pictured is NOT included but can be purchased. 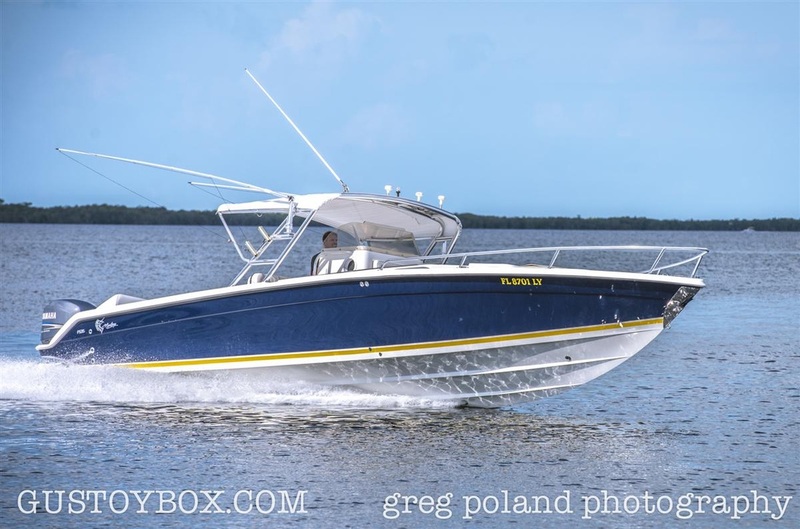 High tech hull design combined with lighter weight composite construction=lower fuel consumption per mile, faster cruise speeds and longer range. 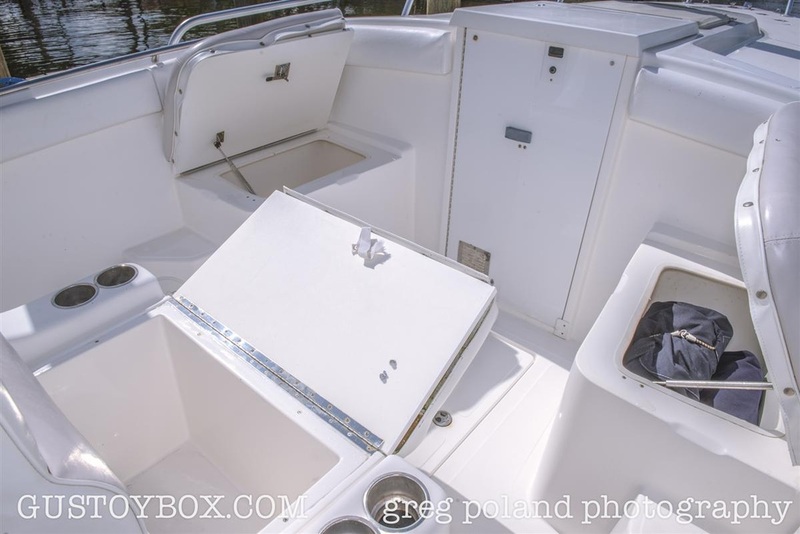 Solid glass hull bottom lamination with modified vinylester resin and Nida Core honey comb composite top sides and stringers. NO WOOD NO ROT! 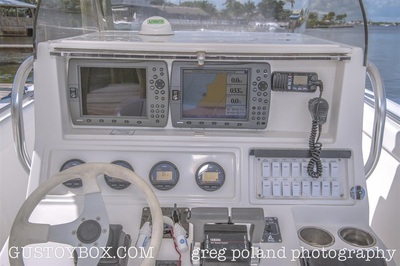 Great Cruise at 4,000rpms 38mph burning 25 gallons per hour. 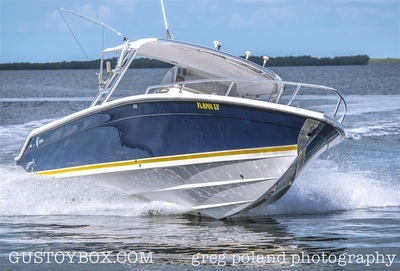 That’s 1.5mpg on a 35 footer, very impressive! 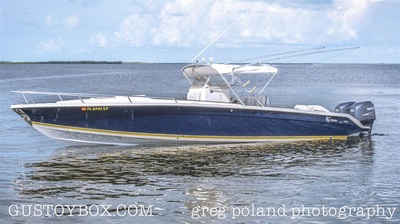 Weight with out engines: 6000lbs.